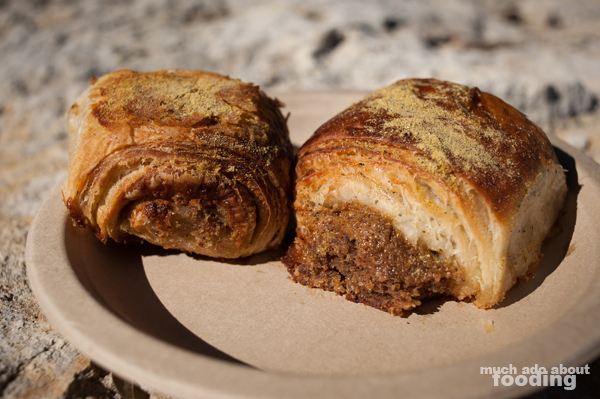 Part of our transition to Austin includes getting ourselves familiar with great eateries and vendors doing wonderful things. 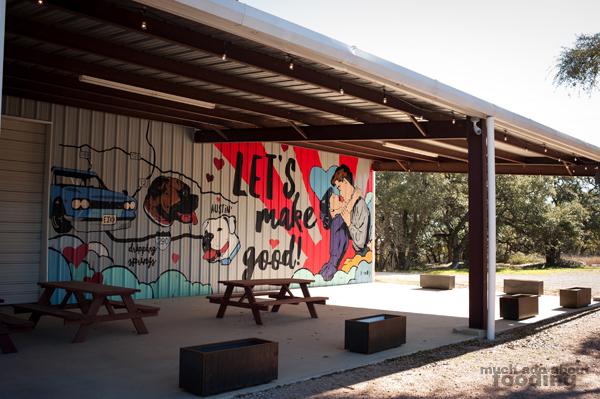 That may involve looking up some events happening around town; luckily, we came across a roastery hosting their tasting room's open house, and we really liked their mission and goals! 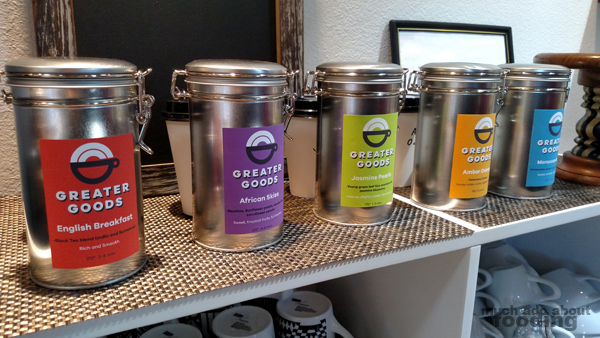 Greater Goods Roasting Co. is named so for a reason, and it looks like they have really found a lot of headway by sharing their goods to Austin at farmers' markets, fairs, and the like. 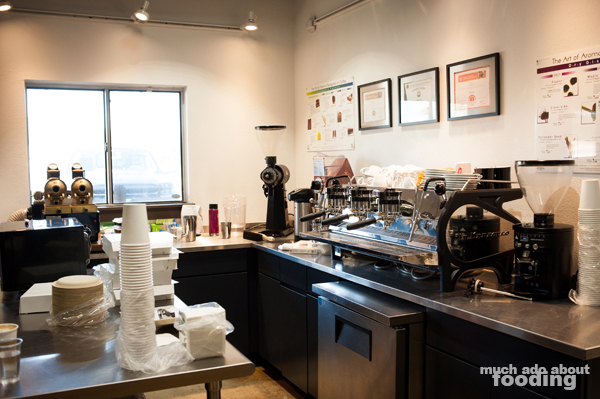 A congratulations goes out to them for the opening of their tasting room where their expert barista(s) can make the coffees just the way they ought to be made. 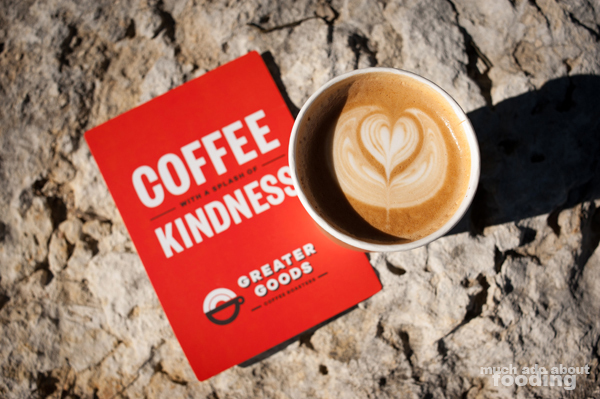 To share a little bit about what we ourselves learned about Greater Goods Roasting Co. is that their products are put together on a model of responsible and quality sourcing. They proudly (and rightly so) boast that less than 2% of all coffees grown internally meets their standards for what they decide to carry. 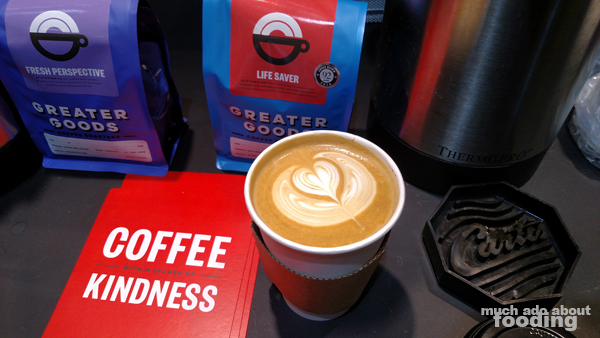 Additionally, as members of the Alliance for Coffee Excellence, Specialty Coffee Association of America, Roasters Guild, and Baristas Guild, they prove through their dedication to the coffee that they are serious in making sure everything is perfect and consistent. We were intrigued to learn about their small-batch roasting process as well which allows for optimal freshness but also clean emissions (smoke-free roasting, 80% less energy used during process, etc). Not only that, a percentage of purchases go toward charitable causes! The lovely Open House was celebrated on January 7, 2017 and well-attended. 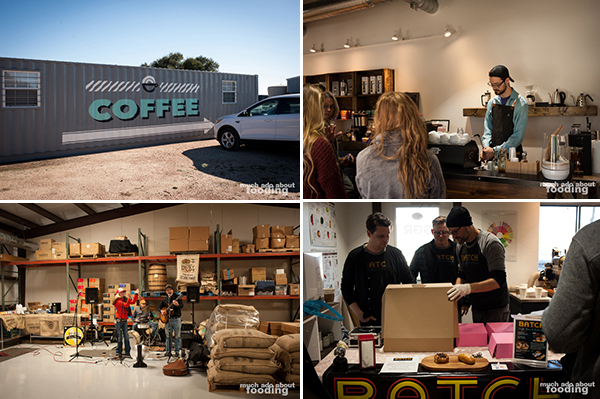 Guests enjoyed live music in the warehouse by Hot Texas Swing Band and set up all around the roastery were tables featuring food items from Chaiwalla, Batch, and Skull & Cakebones. We tried out two drinks ourselves as well as some delectable pastries (Naan Bear Claws; yes they were delicious) - both of which were well-made and unique as they included ghee in their construction. Though it was our first exposure to Greater Goods that morning, it certainly left an impression! 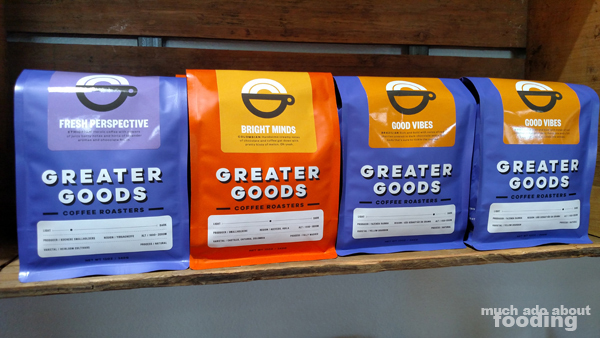 Check them out at 160 McGregor Ln, Dripping Springs, TX 78620 for the tasting room/roastery and find them in various areas around Austin. Photography by Duc Duong & Minerva Thai. More photos available on Facebook here.